Today we can confirm what was once just a rumor - LEGO Batman 2: DC Super Heroes is in development and expands the cast of characters significantly. The game will feature Batman, Robin and other DC Heroes characters like Superman, Wonder Woman, and the Green Lantern. Maybe hey should just call it LEGO Justice League? Once again the game will have a focus on co-op play with full support throughout the game for two players. The story is set in Gotham City with the crew tasked with saving it from destruction at the hands of the notorious villains Lex Luthor and the Joker. 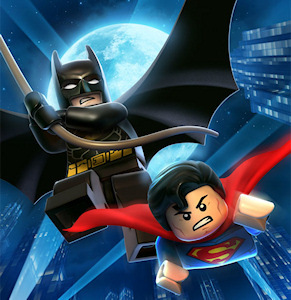 LEGO Batman 2 will also feature vehicles like the Batmobile and Batwing and super powers like Heat Vision from Superman. The game has been announced for a Summer 2012 release on the Xbox 360, PlayStation 3, PC, Nintendo 3DS and Wii, and PlayStation Vita. Right now co-op is only confirmed to be local on the consoles and PC. Page created in 0.2379 seconds.